I actually enjoyed the first Maze Runner. I think it offered something different from the traditional YA movies that are flooding the market and I’m quite a fan of Dylan O’Brien. The first movie had me asking a lot of questions and I was hoping that this movie would answer a few of them. Unfortunately, I felt more confused after watching this movie then I did before. Okay, basic plot: after escaping The Maze, Thomas and the other Gladers find refuge in a military institution run by a man called Mr Jansen. Thomas doesn’t trust Jansen and after some investigation finds out that Jansen is working for WCKD and that Ava Paige is still alive. Thomas and his Gladers escape the facility and must now face the dangers of The Scorch – a post-apocalyptic wasteland that has new and terrifying enemies, and not all of them are human. The premise of this movie and its predecessor still trouble me. For all we learnt over the two movies there are still certain elements of it that: 1. haven’t been fully explained and 2. don’t make any sense at all. From the first movie we know that the human race has been all but wiped out by the Flare Virus. The children who were put in the maze are all immune to the virus and WCKD wants to ascertain the basis of their immunity. In a maze. With giant robot spiders. Instead of a lab with scientists and doctors…WHAT? I’m still so confused about that; how does putting children in a maze, help you understand their biochemistry? WHAT? So once again, I’m hoping the next movie in this series – The Death Cure – will provide clarity. Luckily, this movie doesn’t give you too much time to think about how ridiculous its plot is because it’s so action-packed. This movie is aptly named because the characters in this movie spend the majority of its runtime (haha, see what I did there? ), running. There’s a new threat every five minutes in this movie and there’s hardly any time to catch your breath. The characters are constantly in motion and this gives the movie a high-octane, heart-racing pace. The action sequences are well-crafted with quite a few moments of fun. I love the departure in style this movie makes from the first. 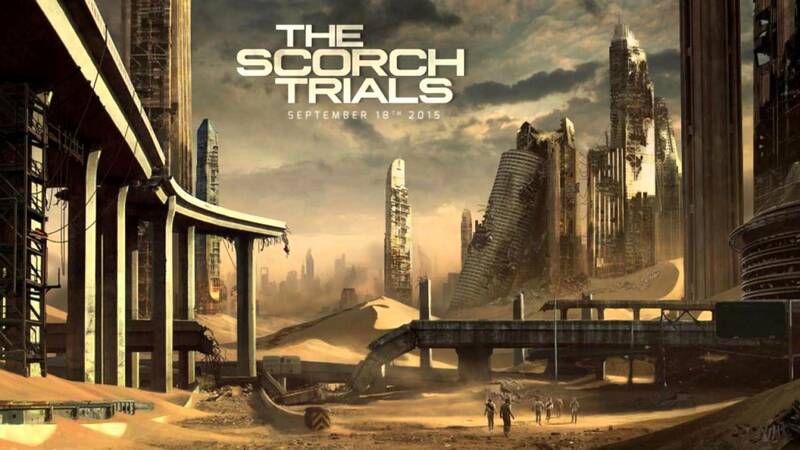 The Maze Runner was a slow-cooking adventure movie; whereas Scorch Trials is a sizzling rough-and-tumble action movie. However, this constant high-paced action does come at a cost – there’s less time made available for character development, a thing this movie sorely needed. There are a myriad of new characters and sometimes it feels like all you know about them is there name and then, boom, something explodes and you’re running again. The beauty of the first movie was that – since it wasn’t focused on action – it had a lot more time to properly introduce characters and allow the audience to bond with them so that when they died, we had reason to mourn. In this movie, we meet a character, they die a minute later and instead of being touched by their death, you’re thinking, “oh, what’s-her-face died, anyway, shouldn’t you guys be running?”. Even the characters from the original aren’t handled very well. They all just seem like they’re along for the ride instead of being active participants. Thomas is the only one who really has genuine thoughts and feelings; everyone else just kinda does what he says without really having much identity. There are some big name additions to the cast and the addition of Giancarlo Esposito was by far (in my opinion) the most significant. Esposito is such a great actor and has a undeniable charm to his character that whoever he plays, you end up liking just because his portrayal is so skilled. 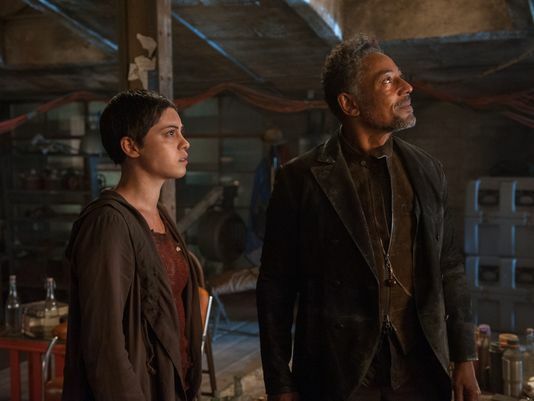 Rosa Salazar also joins the cast as Brenda – a daughter-like figure to Esposito’s character and potential love-interest for Thomas. I have to say I like how this movie handles the love triangle that is an unmovable fixture of almost every YA piece. There actually isn’t a triangle but there is a triangle – it’s kinda like the Schrödinger’s cat of romance. I’m looking forward to this. I thought The Maze Runner was a pleasant surprise. Hoping this will be, too. Nice review, I really enjoyed The Maze Runner so i’ve been looking forward to Scorch trials, sounds a bit disappointing to not get that many answers but hopefully a lot of questions get addressed by the 3rd film.